This Artsmark Celebration Week we wanted to shout about the links between Arts Award and Artsmark. In case you’re new to Artsmark, it is a creative quality standard for schools and education settings, recognising and celebrating their commitment to a high quality arts education. Artsmark is accredited and managed directly by Arts Council England, in association with regional Bridge organisations. 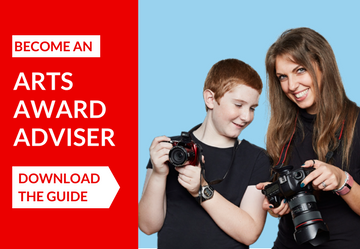 So, what are the main difference between Arts Award and Artsmark? Artsmark is an award for the school, whereas Arts Award celebrates the individual achievements of children and young people. As Artsmark and Arts Award are so closely linked, we’ve put together five ways Arts Award can support schools on their Artsmark journey. Artsmark can help identify and support staff development needs in your school, by requiring a clear commitment to CPD across the breadth of arts and culture. One way which you can demonstrate how you’re fulfilling this criterion is via Arts Award adviser training. Having a staff member who has been on one of our training sessions will allow you to offer Arts Award to your students. As well as being able to celebrate student achievement through accredited arts qualifications, training helps identify creative opportunities already existing in your school and helps boost confidence in offering arts activities even if you are not an arts specialist. One of the great things about Arts Award is that it is an easily adaptable framework with enough flexibility to ensure that every child benefits from the qualification. 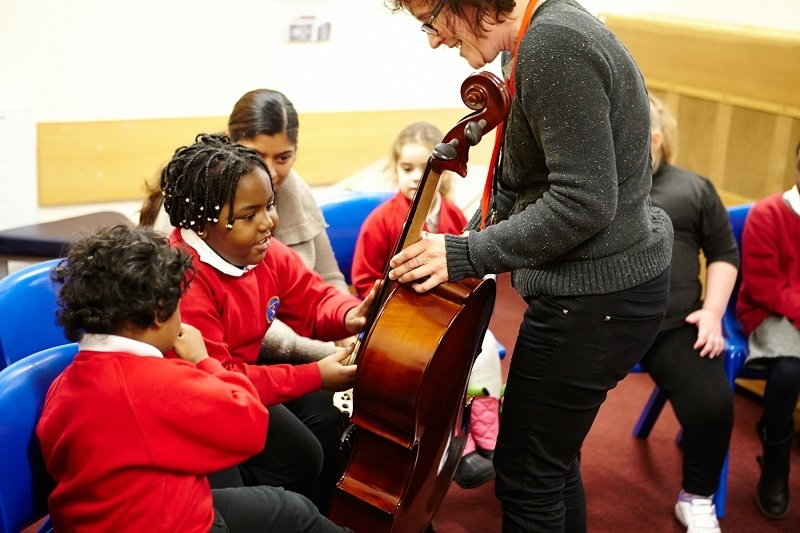 This supports the Artsmark criteria for range of offer, which at each level requires that schools provide wide-ranging and high-quality arts and cultural experiences for all children and young people. And for settings aiming for the dizzy heights of Platinum, Arts Award is part of the values and ethos criterion. You know how best to support your students to work out an approach which suits them, and Arts Award’s flexibility allows for this personalised delivery. For example, this could be scribing their comments, or making use of video and audio instead of relying on written work. With Arts Award you can demonstrate how the whole school can get involved in the arts, while celebrating each child’s individual interests and achievements. A key component of the Artsmark criteria is working in partnership with arts and cultural organisations, providing young people with authentic experiences. One way to demonstrate this engagement is by working with external practitioners, for instance through workshops or clubs. By engaging with professionals, young people will not only have memorable experiences which can inspire them to continue their arts education, but will be able to see the broader opportunities that the arts have to offer, including career options. Many local arts organisations are Artsmark Partners and Arts Award Supporters, and therefore will be able to let you know what they can do to support both your Artsmark and Arts Award programmes. Arts Award also requires giving young people the opportunity to learn from or work alongside arts and cultural professionals. Children and young people are encouraged to find out about local arts organisations and record this, notably at Explore, Silver and Gold. This builds on authentic engagement with artists, and can be a very powerful arts experience. Artsmark asks schools to demonstrate how they use the Arts Council England Quality Principles to plan and measure the impact of young people’s engagement with the arts, including personal progression and how they take ownership of their engagement. I have already spoken about how Arts Award can be adapted to suit the needs of pupils, but the qualification can also demonstrate progression in a range of ways. At all levels, we want young people to reflect on what they have done, how far they have come and how their skills have improved. At higher levels this is explicitly stated whereas primary school kids need to be able to demonstrate how they have made something from scratch and think about what they enjoyed and/or achieved during that process. 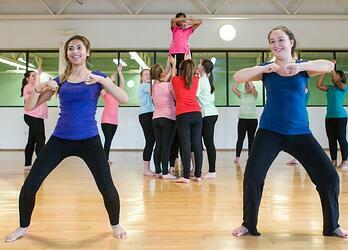 Arts Award is great evidence, in a portfolio format, of just how much young people can achieve. This can be within a level or by progressing through a range of Arts Award levels and challenging themselves a little bit more each time! Parental engagement, developing an inclusive community and giving children sense of belonging and ownership is a really important part of the Artsmark journey. This can be taking ownership of their own education, school or future. It could also be helping children and young people to cement a sense of self through their local community. The arts are a fantastic way to do this, and you can start by engaging with local artists and arts organisations. You could also involve parents/carers with a creative skill who would be willing to share what they do with young people. Having the opportunity to celebrate their achievements with a wider audience beyond their peers and the school community has a lasting impact on young people. Why not invite parents and carers in for an Arts Award celebration event where you distribute certificates? You could also ask arts organisations or artists you have worked with to get involved with this event or even engage with a new company to put on a celebratory assembly which parents and carers can get involved in. Both Artsmark and Arts Award care deeply about broadening children and young people’s engagement with arts and culture and providing opportunities to build their skills and interests in the arts world. We hope that this Artsmark Celebration Week, you’ve been inspired to continue your great work, with Arts Award being one of the many ways you support children and young people’s cultural education.